Of course, it captured my attention, not only because this book celebrates one thousand covers of the famous “Rolling Stone” music magazine (one of my favourites over the years), but also because of the classic Annie Leibovitz cover photograph of John Lennon and Yoko Ono, taken from the January 22, 1981 edition. This book might have been new to our library, but it’s not a new publication. It actually came out back in 2006 and celebrates the publication of “Rolling Stone” over a span of almost four decades. 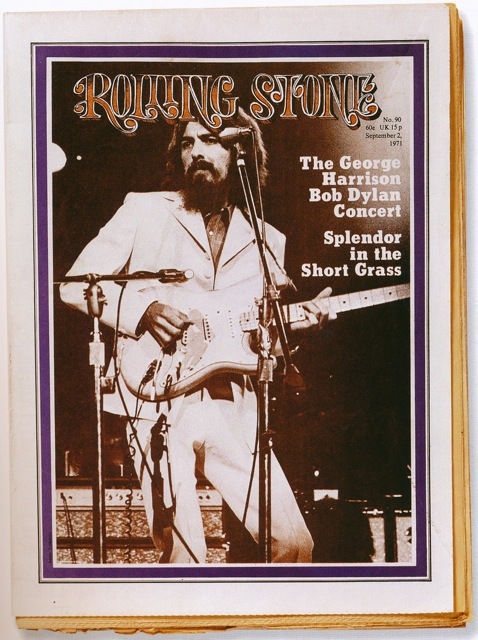 From its humble beginnings in November 1967 to June 2006, making the cover of “Rolling Stone” meant something. And of course the Beatles (either as a group or as solo artists) feature more than a few times. This post features just a small selection of those covers. 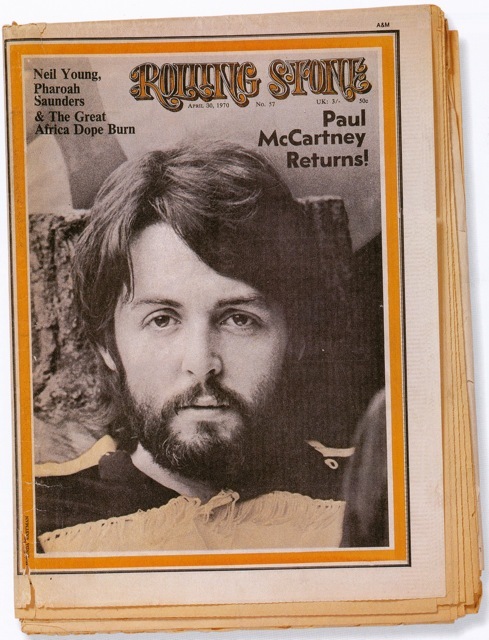 As you can see, back in the day “Rolling Stone” was more like a traditional newspaper. The photograph of George above is another one by Annie Leibovitz. In the rear of the book there is an index of photographers and Leibovitz is by far the most credited single photographer with over 140 “Rolling Stone” cover shots to her name out of the one thousand featured. “He left this world as he lived in it: conscious of God, fearless of death and at peace….” [from a statement by Olivia and Dhani Harrison]. 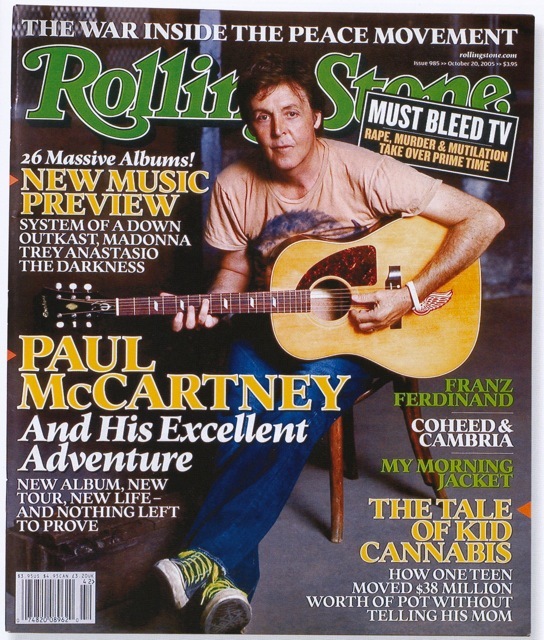 2005 saw another Paul McCartney cover shot. This time the angle was “….a new album, new tour, new life – and nothing left to prove“. That new album was “Chaos and Creation in the Backyard“, produced by Nigel Godrich. 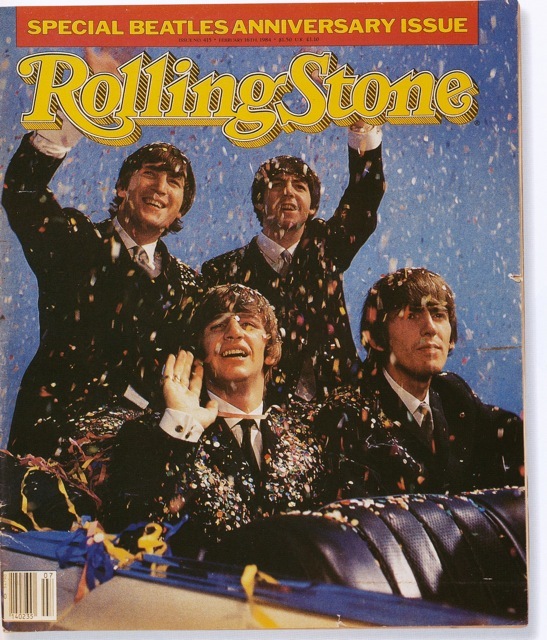 By my count the Beatles as a group or solo appeared some 27 times as the cover image/story of “Rolling Stone” magazine between 1967 and 2006. 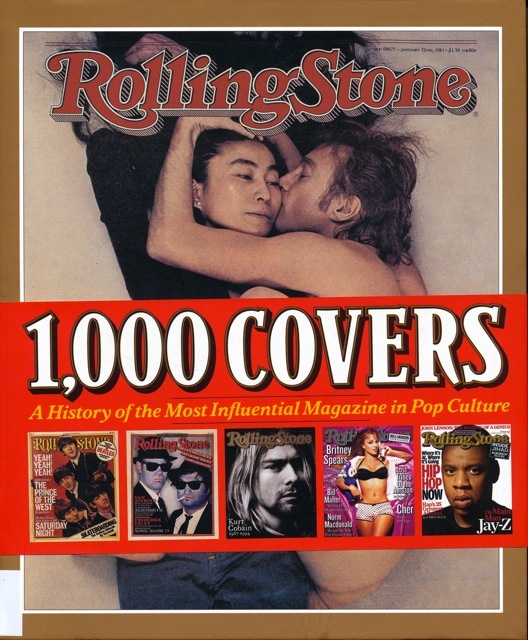 “Rolling Stone – 1000 Covers” was published in 2006 by Abrams Books, New York. 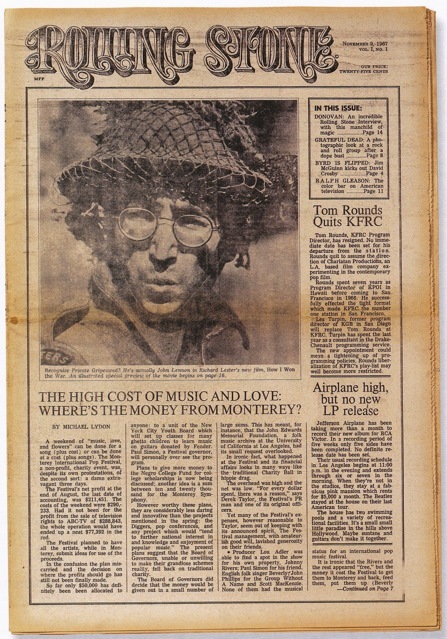 For some other covers of “Rolling Stone” see also: The Lost Lennon Tapes; Nine Copies of Rolling Stone; Rolling Stone Names Its Top 100 Beatles Songs; and for the Australian cover variation of the “Top 100 Beatles Songs” click here. 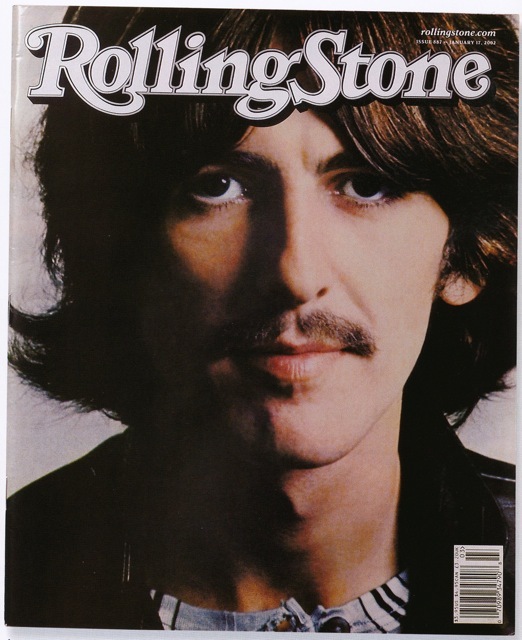 This entry was posted in Beatles Music, George Harrison, John Lennon, Paul McCartney and tagged Beatles, George Harrison, John Lennon, Paul McCartney, Rolling Stone 1000 Covers by beatlesblogger. Bookmark the permalink.